The design process of laminated composites faces two challenges: the engineer designs the product and its morphology, but also, simultaneously, the material. The number of design solutions can be huge since the solution space is very large. Standard CAE systems (CAD, Finite Element Simulation) do not offer to the designer an approach to explore these solution spaces efficiently and interactively. 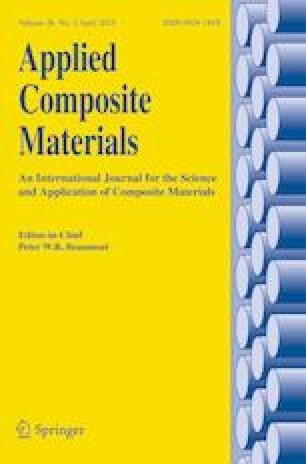 This paper provides a possible procedure for engineers having a laminated composite product to create: it presents an approach that allows combining to usual morphological design parameters, specific variables that are typically the domain of composite experts, and manufacturing experts. Using an optimization approach based on an evolutionary algorithm coupled to a reduced order analysis, a decision support solution is detailed. The numerical approach allows the engineer to explore interactively design spaces. Our approach is consisting in processing a Knowledge Model having a reduced and separated form . We present a decision support method that allow designers to have, both, a multiscale and a multiphysical view on the laminated structures that they are creating. Two design problems are presented to illustrate the relevance of the approach when designing composite structures: one under a static load and the having a dynamic behavior. The research was supported by the Colciencias (Colombia) and the Universidad Pontificia Bolivariana (Bucaramanga, Colombia).